Home insurance can be confusing. The following are some of the most common misconceptions about home insurance in Canada to help you weed through what's fact and what's fiction. False. Policies can vary significantly from one provider to another. Carefully review or ask, what's covered, what's not and-this is an important one-the policy limits (i.e. the maximum amount). False. A home is insured, not for its market value, but the cost to rebuild it. Market value takes into consideration things like location, land value and "comparables" (how much similar homes sell for in the neighbourhood), whereas rebuild value focuses on what it would take to rebuild and duplicate your home; materials, labour, permits etc. Maybe. Homeowner's insurance policies do not automatically include earthquake coverage. You can however, have this coverage option added to your policy. If you live in a part of Canada that is prone to earthquakes, like some areas of Quebec and British Columbia, coverage may be more expensive to purchase than other areas. In any case, you will need to speak to your agent or broker to discuss adding this coverage to your policy. It depends. If your policy insures your contents for replacement cost, then this is likely true. However, if your policy insures your contents for actual cash value, then depreciation of the item (your TV) will be factored into the amount you get towards replacing it. Maybe. Most policies do not provide coverage for damage caused by termites, squirrels, mice, rats and even raccoons, but, like any good rule there are always exceptions. Review your policy to see what exclusions may apply. It can be, but it will depend on your insurer. Shrub and tree coverage is common, but it varies by policy. Additionally, the reason for the damage can affect if there is coverage for a specific loss. True, with a caveat. Most homeowner's insurance policies include coverage for jewelry and other valuables like furs, art and electronics, however there will be a special policy limit. If you have valuables that are worth more than what your policy allows, consider "scheduling" these items into your policy. An item that is scheduled will have its own deductible and insured amount (limit). Depends. Does your broker or agent know you operate a home-based business? Many people have the mistaken belief that a home-based business is automatically insured under the liability and contents coverage of a home insurance policy. It most likely isn't. You'll want to discuss a home business extension to your current policy, or a separate home-based business insurance policy with your broker or agent to make sure your business is adequately protected. Not necessarily. If you have people living with you like a roomer or boarder, do not assume their belongings are covered under your policy. Chances are it is not. Additionally, if you do rent out a room in your house, you'll want to make sure your agent or broker knows; they can ensure you're adequately covered. Just as important, if you don't keep your agent or broker in the loop, you run the risk of having future claims refused. False. Home insurance does not provide coverage for maintenance or upkeep. 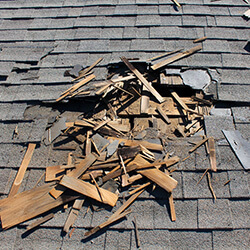 If your roof is old, and needs to be replaced, your insurance policy will not cover this expense. Doubtful. The good news here though is that installing a home security system will likely mean you're eligible for a discount of five to 10 per cent. The amount you'll save on your insurance will depend on the type of system you install, level of security, and your insurer. Absolutely not. This is a common fear we hear from consumers, but the fact is, your home insurance rate will not increase just because you've shopped around for your coverage. Again, false. If you shop around mid-policy and find that another home insurer offers you the coverage you need at a better rate, you can cancel your policy before its renewal. However, if you do cancel your policy mid-term you may be subject to a cancellation fee, so you'll want to ensure that the savings are worth it. If they're not, it may be best to wait until your policy is up for renewal, at which time if you cancel, there is no fee. Home insurance rates will be the same, regardless of the insurer. False. Home insurance rates vary considerably from company to company. That's why it is important to shop around and compare home insurance quotes. Not only will you find a policy that provides you with the home insurance coverage you need, but you'll get it at the best available price. Tip: Bundling your home insurance with your auto insurance could save you five to 15 per cent off of one, or even both, of your policies.